Your Mac computer should hold a very special and irreplaceable part in your life; after all, it is the best system that can store all your pictures, videos, music, software and another indefinite number of entertainment utilities. Because we save so much precious and important data and files on our computer, even having a thought of losing those valuable data is very fearful. Although, there are too many backup software available for Mac but yet something may go wrong some day and you will have no idea how all the data on your system are deleted. DiskGeeker for Mac shines like a diamond. can use this software without any instruction. How does TunesBro DiskGeeker for Mac work? data got erased. It gives you one single solution to recover any kind of data from your computer. 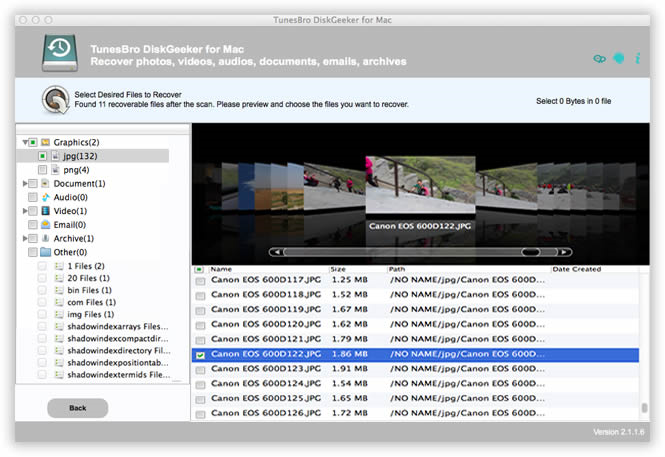 In order to restore your files successfully, first, you will have to ensure that TunesBro DiskGeeker for Mac is installed on your Mac and then you should be able to use it to recover your lost data with the following steps. Choose the data that you wish to recover such as pictures, music, videos, documents, etc. and click “Start”. Choose the driver name from where the data is deleted. Usually, hard disks are partitioned in their respective sizes, so you should select the partition name in which you stored the files earlier and press “Scan”. As soon the scanning is finished, this software will show you each and every file deleted from your Mac and all items can be found in their respective folders. Finally, select all the files that you want to restore and click “Recover” to store them in your chosen output folder. Was that so hard to use? Absolutely not! You only had to follow 3 steps and your data is back to your computer again. TunesBro DiskGeeker for Mac has been developed several years ago and it has a solid reputation on the internet market. Countless satisfied individuals had reviewed this program and shared their successful stories. This program works perfectly on Windows and Mac computers. Make sure to download the compatible version to use this amazing utility. Scanning and previewing is absolutely free but you won’t be able to recover them unless you register the software. It only costs $39.99 and it does come with a lifetime free support and upgrades. You only have to pay once and you can use it forever throughout your life. Considering how important and crucial this software is, the price is fairly affordable and moreover, no one can put any price on the precious and important files of yours and TunesBro DiskGeeker for Mac is only developed to help to get them back. So, it a worthy one-time investment. 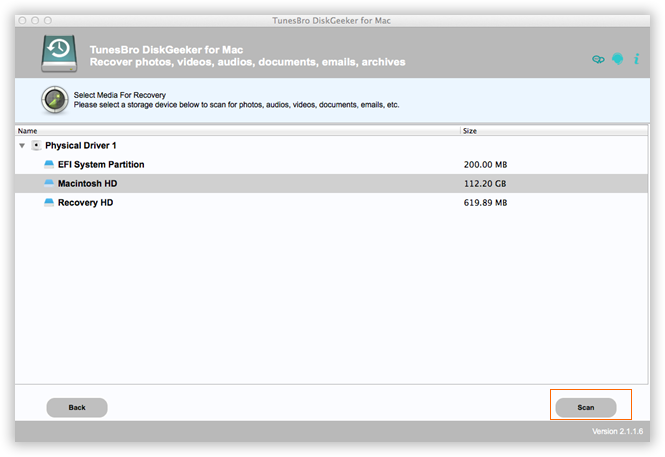 TunesBro DiskGeeker for Mac is truly a remarkable and significant program and its efficiency is outstanding. 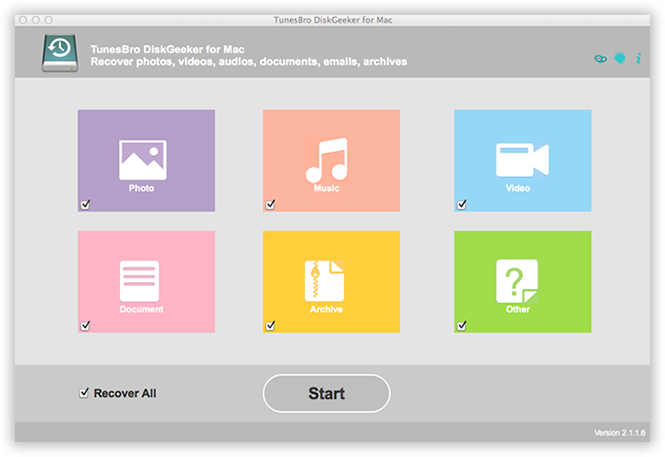 Even if you have never used any data recovery software before, you should be able to use TunesBro DiskGeeker for Mac easily and even if you find any troubles, the support staff will guide you through the whole process. It is absolutely free to download the trial version and once you see the power of this program, we are pretty sure you will consider buying it. Never fear of losing data again in your life.